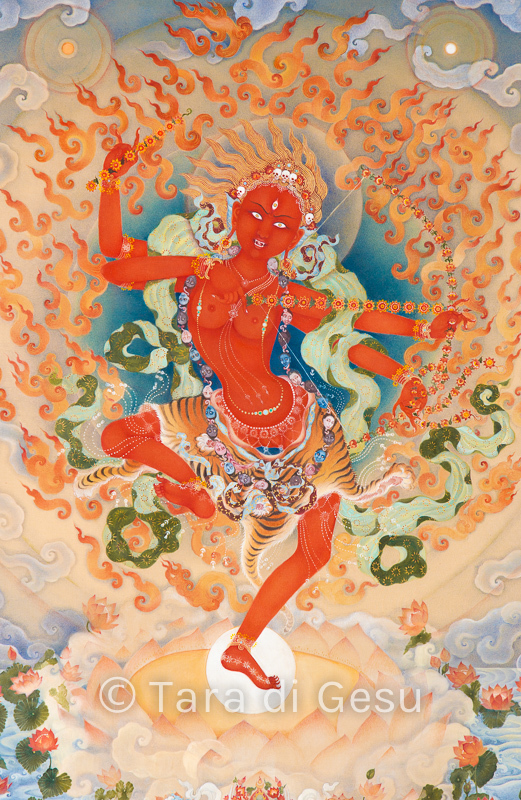 Also known as Red Tara, Kurukulle is principally associated with the enlightened activity of magnetizing. 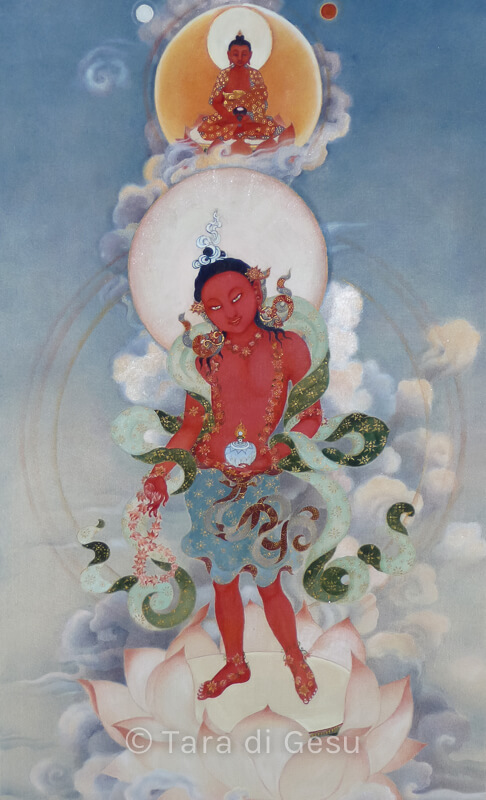 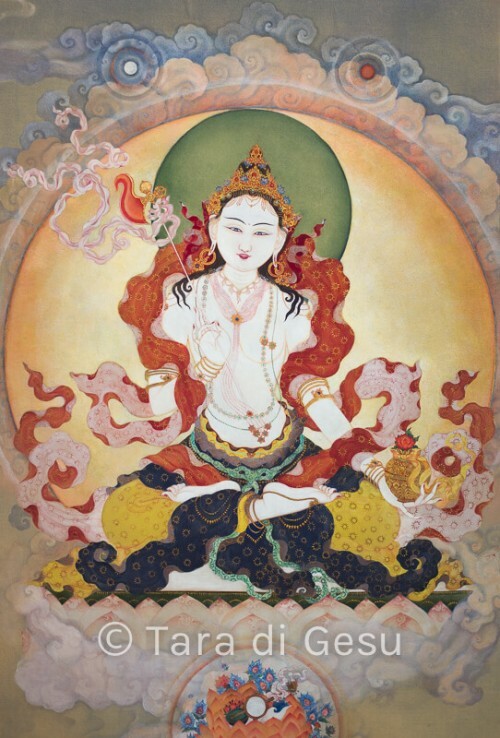 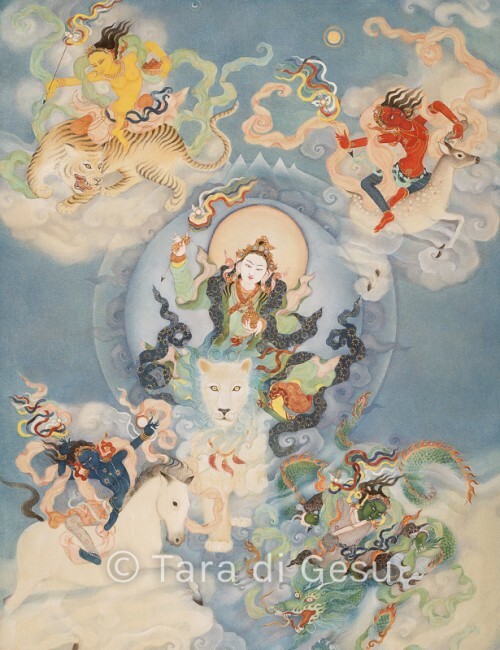 She is invoked to increase wisdom and to gather the conditions necessary to practice the Dharma. 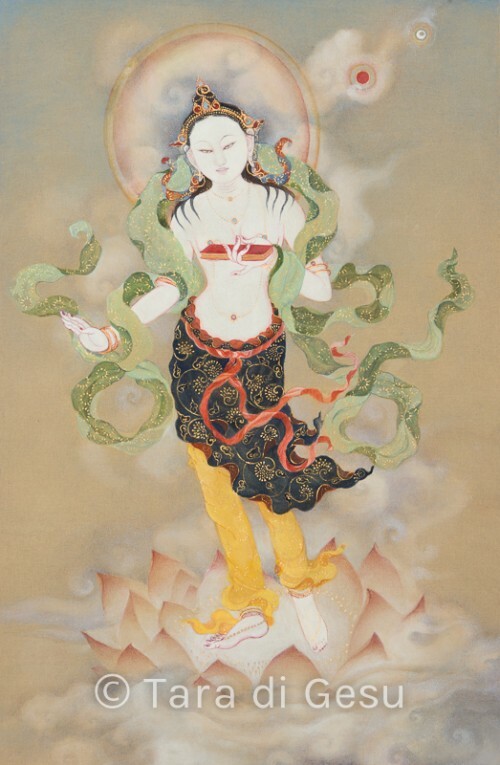 More information about Kurukulle at Himalayan Art.